I was flagged as well. flagged...just a nebie looking for help. Thanks! As much as I hate spam. your settings are to sensitive. I appreciate the concern for killing the spam but it's killing the postings for people who want to post at times. And then we need to wait until it's approved. Go to CBRT and talk to BOZO. We don't get spam on that forum and no issues with not being able to post. I believe it's that same software or forum type. yeah ... i have some problems with my post - maybe because of my polish ip or e-mail adress? please help and fix! 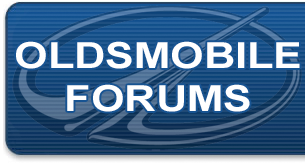 I posted to the Bravada Forum yesterday, regarding diagnosis of my AWD problem. I'd greatly appreciate it if that thread could be approved and posted. Thank you. Find all posts by frank r.
Originally Posted by frank r.
I bought a 2002 Intrigue with 68,000 miles from my Uncle a week ago. During city driving the car warms up to half way pretty fast and then if I get on the highway, it shoots up to HOT. A week ago my Uncle had a thermostat put in and the radiator flushed and he thought the problem was fixed. I still overheats, any suggestions? It is NOT leaking anything, it is NOT blowing white smoke and there is NOT coolant in the oil. Could this still be a head gasket? What are some other possibilities? Your thread has been approved and posted. My introduction post was flagged as spam..Please approve.